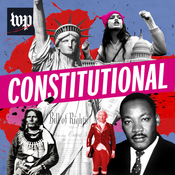 In the "Constitutional" finale, we address listener questions about the history--and future--of the nation's governing document. Why do First Amendment rights trump nearly every other right in America? Thank Jehovah's Witnesses. How should the Constitution's privacy protections be translated for a new era? This is a question before the Supreme Court today, but it was also a question that captivated a justice appointed to the Supreme Court 100 years ago — Louis Brandeis. The passage and then repeal of the 18th Amendment, banning alcohol in America, highlighted the pitfalls of trying to legislate against vice. Congress today faces the same question it faced a century ago when creating the modern tax system: What kind of society should America be?